Marg from Marg’s Slices of Life passed The Blog Hop onto me. While I was thinking about the questions she sent, Joanna and Ron from The Lazuli Portals nominated me for My Writing Process Q & A Tour. As the questions were almost identical I thought I’d answer both with the same post. I’m very honoured to be chosen by these people whose blogs and writing I admire so much. 1. Why do I write? I write because I love words. I love how precise and powerful they are. I find it fascinating that we can line words up one after another in a particular order and we can make people laugh, cry, become frightened or astounded, and almost any other emotion it’s possible for humans to feel. I love the pattern, shape, sound and rhythm of words. I write so I know what I think. I write because I want to share with other people the way I see our quirky and astonishing world. I express things more clearly in writing than I do speaking. There’s less room for confusion and being misunderstood. I write because I love the challenges it presents. 2. Why do I write what I do? I write short stories of any length. In short stories I can concentrate on one aspect of the human condition in greater detail. People, their psychology, motivations and behaviour, fascinate me. That’s why all my stories are character based, and why I stare at people a lot. I particularly enjoy writing about life’s ironies. My stories usually contain humour, but underneath I’m seriously questioning something I’ve observed about the way we live. 3. What am I working on? I work on whatever excites me. I know that’s very indulgent but I think if I’m not passionate about what I’m writing how can I expect anyone else to be. I have some stories about eccentric characters I’ve grown to love and when I have enough I will turn them into a discontinuous narrative. I love reading novels about the same world from all different perspectives so the idea of writing one interests me. I start each writing session with a timed writing exercise. The most difficult thing for me to do is physically start. So I tell myself if I write for 20 minutes I’ve done my daily writing. But once I’ve started I don’t want to stop. The writing exercise might be to explore something in the story I’m working on that I need to think about more, or it might be free writing. The first draft is agony. Once the ideas are on paper and I know what I want to say I love it. I love the crafting and dreaming deeper into the story, discovering the things my subconscious has already embedded in the text. This is the magical exciting time when I get to play with choosing and arranging words that will express these ideas the best way I can. Once my idea is crystal clear the words often write themselves, though. When that happens it’s the most amazing high. That’s what keeps me writing. I know I’m suppose to nominate 3 bloggers to take on the task of answering these questions about their writing, but I decided to open it up to any writer who reads my blog. I’m intrigued by how other people write, and I learn so much from reading or listening to authors. It’s also extremely helpful to make yourself think about why you write and how. I learned things from answering these questions about my writing that I didn’t know about myself before. Whatever you decide to do, keep writing! This entry was posted in Short stories, Writing and tagged Blog hop, CS Lewis, Flannery O'Connor, short stories, words, writing, Writing process. Bookmark the permalink. why do I write what I do? It chooses me. I write what I do because it’s where I’ve been led. Things flow from experience, special interests. I have to trust the content to tell me what it is eg a poem, an article, a short story. what am I working on? Life writing, at the moment – a major work which is as demanding as a temperamental two year old, on a good day. 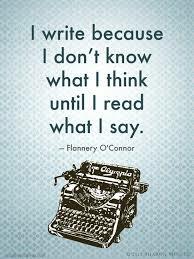 How does your writing process work? Mmmm. Hard to say because it varies. When I start a new piece I let it run, let it have it say, way, play with it. When I revisit it I become very focussed on a detail or image or feeling that’s there between the lines. I don’t look ahead. I stay with it. Ask it questions. Gradually I’ll work my way through the piece/scene/ or maybe just on one paragraph. Thank you, Anne, for taking up the challenge. Your answers are fascinating and I’m sure will give readers insight into how other writers may write. I very much appreciate you taking the time to share this with us. Karen, I’m so glad you took part in the Q&A as I knew I’d love reading your post! I love, love, love your reply to Question 1. That’s exactly how it is for me, too. Thank you for nominating me, Joanna. Answering the questions made me really think about why and how I write. I loved reading your answers and Ron’s, too. It also made me question why I’m doing some of the things I’m doing that get in the way of writing my stories. As a result I’ve changed some practices and I’m getting right into the work now. Thank you for that unexpected benefit from your kind challenge! All the best to you both. A great blog hop Karen! 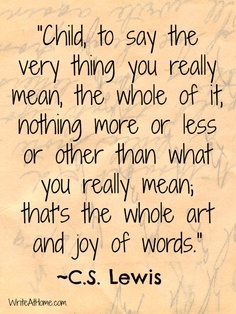 Writing is very powerful, and I’ve only just started to understand this recently. One of my recent Friday Fictioneers turned a few readers to tears… And that both shocked me (I felt responsible for upsetting people) and excited me (because I’d been able to get the feeling across). I almost felt like I’d been given a weapon that I hadn’t been trained to use properly yet! Answering the blog hop questions is an eye opening experience. I really enjoyed thinking about the answers. It has made me question why I don’t just knuckle down now and write to finish the manuscript. I would enjoy doing it so what’s stopping me? Your suggestion for November is a sound one. Thank you, Jessie.